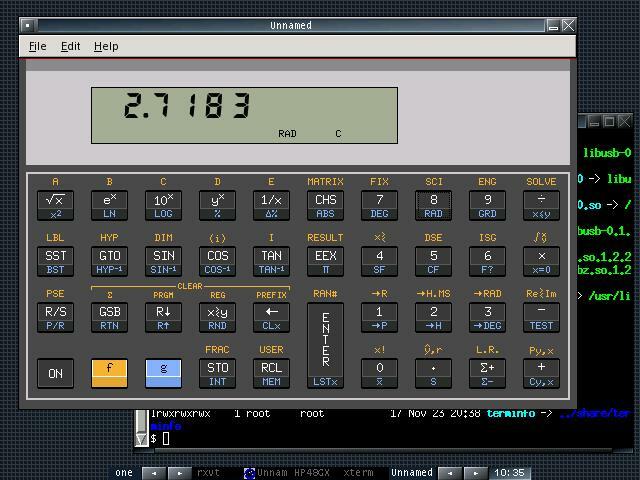 This is a Zaurus port of the Nonpareil calculator emulator for Unix/Linux + GTK. 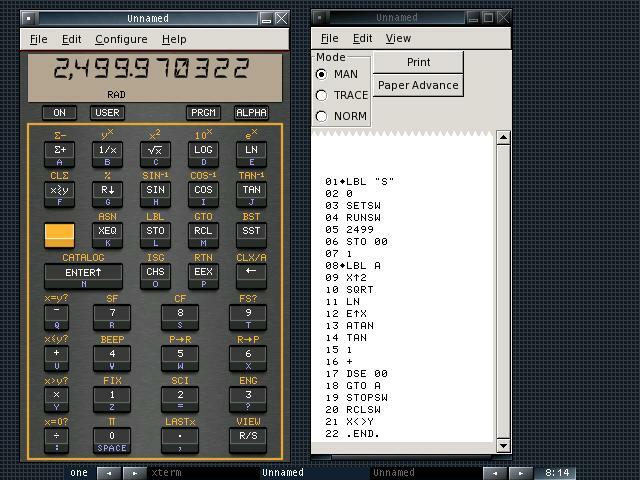 Nonpareil is to classic HP calculators as MAME is to classic coin-ops. Beyond Voyager? Check out http://sense.net/zc/free42 and http://sense.net/zc/x48. IMHO, the most significant calculators in this collection are the HP-35 (for historical reasons), the HP-15C, and the HP41C. The 15C and 41C artwork make the emulators quite usable, however Free42 is significantly faster even with the Zaurus clocked all the way down. Download the nonpareil binary and save in /usr/local/bin (or any other directory in your PATH). Help support open software. Go to http://nonpareil.brouhaha.com/ and donate today. If you load a module (e.g. 82143A or 82182A) and then later exit you will be unable to startup again without removing the state file (~/.nonpareil/type.nst). This will be fixed in the next release of Nonpareil. Load up and use module with the knowledge that you will lose your work after loading the module. Nonpareil may start to use up all memory and crash or crash the Zaurus when returning from suspend. Solution: Close Nonpareil sessions before suspend or immediately after resume. Nonpareil may start to use up all memory and crash or crash the Zaurus is there is no or corrupted state file. Solution: After starting a calculator for the first time, exit and startup again. This will create the ~/.nonpareil/type.nst file. Unless the file is remove or you suspend (see #2 above) your classic calculator experience should be good. Experience the first handheld on your handheld. 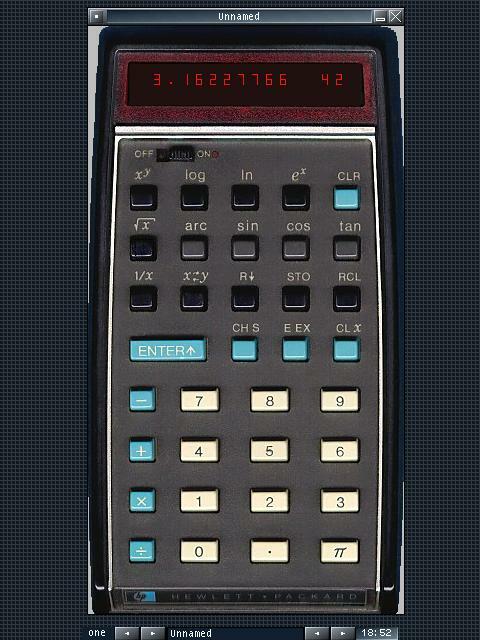 The HP-35 was the first handheld calculator. This calculator was designed with a slide rule (Scientific American, May 2006, Page 80) and it was the beginning of the end of the very same device. Incredibly the microcode was dumped optically. 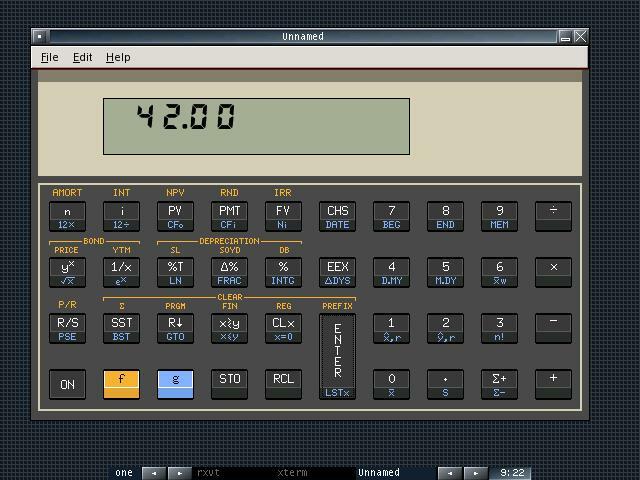 You have to see it to believe it: http://www.pmonta.com/calculators/hp-35/. The screen shot below is utilizing the 35s (s for short) image specifically developed for the Zaurus Clamshell running at 640x480. 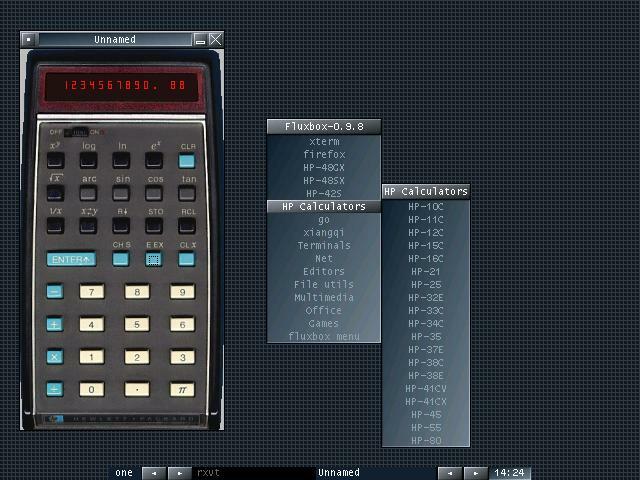 Zaurus 6000 users will have no problem with any vertically oriented calculators (i.e. non C). I still have a 15C on my desk. The only classic in production. 41cxs is a version of the Nonpareil 41cx modified to fix a 480 tall screen. On the right is the output from the virtual HP 82143A printer. Printer output can be saved as PNG. Programming the 41CX is a lot easier with a printer. Use a stopwatch to time, the Nonpareil 41CX stop watch may be inaccurate. NOTE: Don't press that last [ALPHA] until your physical stopwatch is ready. Results (should be 2,499.970322) and time (HH.MMSSss) reported on the stack (press X<>Y to get the time). Use a stopwatch to time.